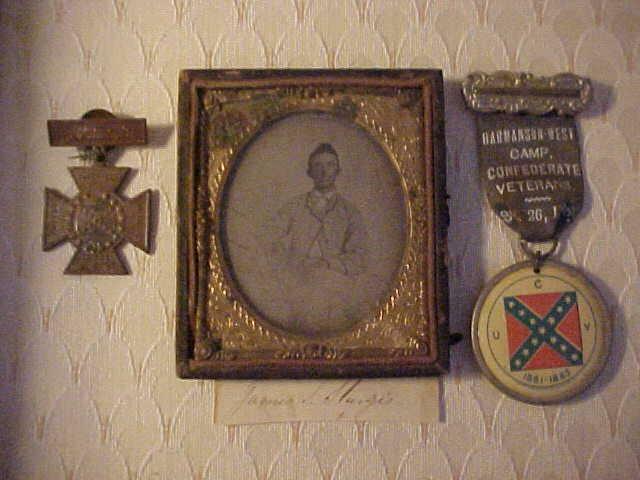 Many of our Loyal Eastern Shore Volunteers enlisted in Confederate Units that were not based on the Eastern Shore. 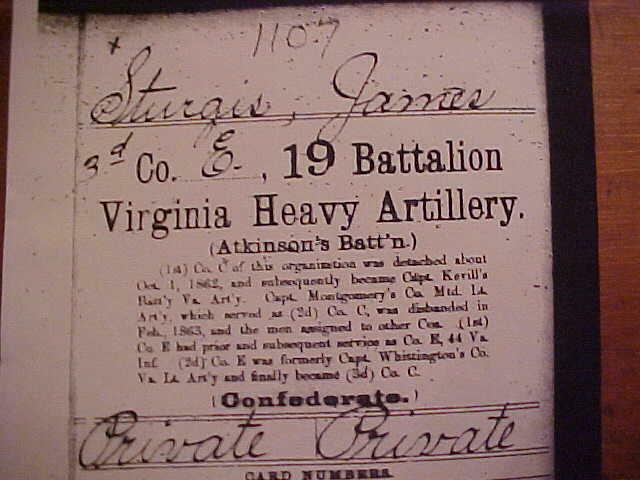 Private James S. Sturgis of Wardtown, Virginia, and several other Eastern Shore comrades eluded the Union blockades that were monitoring the Chesapeake Bay. They made their way to Norfolk where they enlisted in Co. E of the 19th Battalion Virginia Heavy Artillery. 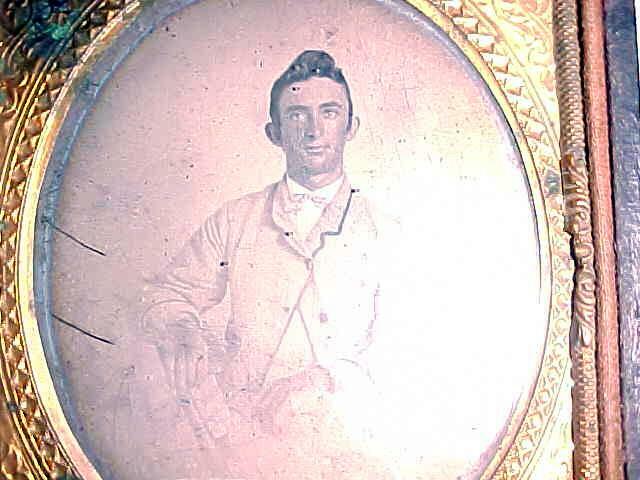 James was age 18 when he enlisted and served throughout the war. He and other Eastern Shore Confederates were taken prisoner by the Union army on April 6, 1865 at Burkes Farm in Farmville near Sailors Creek. At that time James and the 19th Va. Heavy Artillery were on retreat from Petersburg to Appomattox. The 19th Va. performed heavy and hazardous duty for the Confederacy during the war. This battalion was stationed among the main defenses at Richmond, Norfolk, Mechanicsville Road, and along the James River between Richmond and Petersburg . 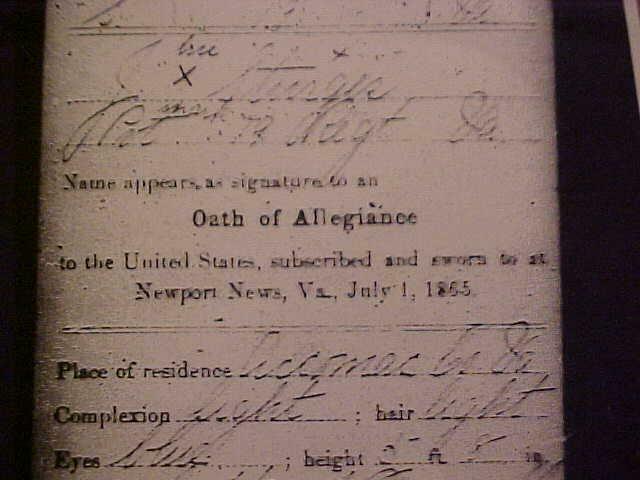 As a prisoner of war James gave his oath of allegiance to the United States on July 1, 1865 in Newport News, Va. Upon his release, he returned to the Eastern Shore where he lived out his life. 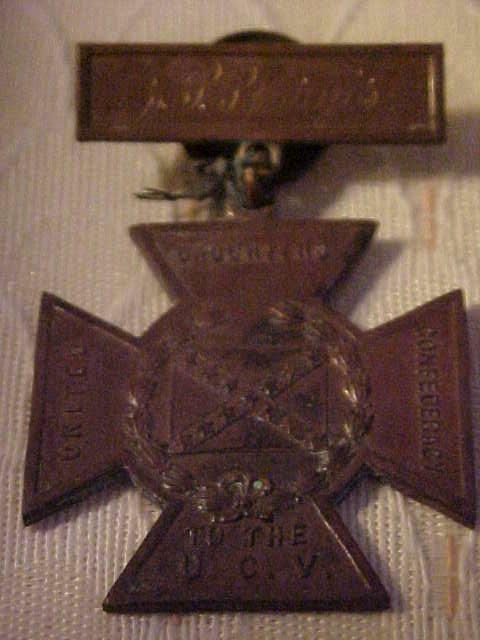 James S. Sturgis received the Confederate Southern Cross of Honor which is shown below. 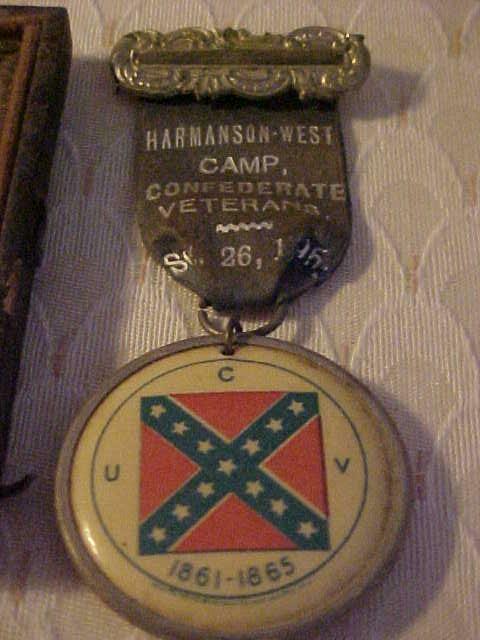 Also shown is a 1895 reunion badge & ribbon from the Harmanson-West Camp on the Eastern Shore. 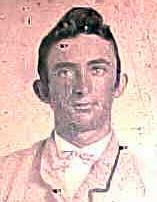 He died on May 6th 1923 and is buried with Confederate honors in the Franktown cemetery. His name is not listed in the records of Eastern Shore Loyal Volunteers, but clearly deserves inclusion. Photos from Jody Hopkins of Accomac, VA.
Use the "Back" button of your browser to return to this page.